Who are we? – Connect! Community Connections Support Services is a private agency directed by Brian and Jackie Burnham, holds a current CARF accreditation and is in excellent standing within its communities. Community Connections was established in 1991 and has been providing exceptional support to people living with a disability since that time. Jackie has been with Community Connections since 2005 and has worked as Support Worker, Senior Support Worker, Community Support Worker and Quality Assurance Manager with the agency and is currently its Director of Strategic Management. She brings with her a background in Psychology, Accounting and has worked in the human services field since 1990. Jackie also received a BA with distinction from Royal Roads University in the field of Justice Studies. She has been responsible for leading teams in several agencies to achieve CARF accreditation and is committed to assisting Community Connections Support Services to maintain its person-centered focus while delivering a high level of accountability. Joanne joined the Community Connections team in 2012 and came with an extensive background in legal administration. Her exceptional skills in organizational management and analysis has revealed her inherent human service values and interest in being accountable to those we support and employ. Joanne has been instrumental in helping to create and maintain our agency’s continuous quality improvement systems and is a valued member of our team. Viv has worked front-line with CCSS since 2004 as a Support Worker, Senior Support Worker, Health & Safety Officer, and Health & Safety Coordinator. After raising her children, she graduated with honours from the Human Service Diploma Program with excellence in Woman’s Studies and Psychology. Previous work experience includes transitional supports to women who experience violence and their children, teaching English, and career development. Her education and experience brings a sociological, person-centred, and experiential perspective to her current responsibilities to the team as Residential & Community Service Coordinator in the West Kootenays. Valerie has joined the Community Connections team bringing with her a wealth of experience and knowledge leading teams in providing support to those living with a disability, working as a Behaviour Consultant and as a Foster Parent Support Worker and Facilitator in Alberta. She has a combined education in Behaviour Science, Counseling and a Diploma in Social Work and has supplemented her knowledge with training in Reactive Attachment Disorder, Fetal Alcohol Spectrum Disorder, Autism and Aggression Control. Valerie’s education and experience support her personal philosophy and commitment to providing dedicated support to assist and enhance the quality of life and right to independence for all people. Jane joined Community Connections Support Services in 2015 working in the Home Share program, and is currently the agency’s Quality Assurance Manager. She comes to CCSS with a diverse and extensive background in the community living field. After completing her Bachelor of Arts degree at UBC Okanagan, Jane followed her passion for social justice and advocacy in a variety of roles, having over ten years of experience in direct service delivery for individuals and groups, program development and coordination, and application of CARF standards to continuous quality improvement framework. Jane became a certified Nonviolent Crisis Intervention Instructor in 2013, and she has enjoyed the exchange of experiences and ideas that occurs in teaching NCI to others. James has been with Community Connections since 2010, bringing with him, experience as a Care Aid, Support Work, Community Support Worker and Home Share Provider. James joined the Community Connections team as a Home Share Coordinator and has since moved up the ranks, holding a position of Senior Home Share Coordinator and is currently acting as Service Coordinator for all Home Share Services offered in the East & West Kootenay as well as the Central Okanagan. His passion for life-long learning has resulted in certification in Behavioural Leads and a MANDT Instructor certification. He enjoys sharing his knowledge and providing training to Home Share Providers and employees and is a valuable resource to his teams. Joel first joined Community Connections as the Service Coordinator for residential and community support services in the Kelowna area. 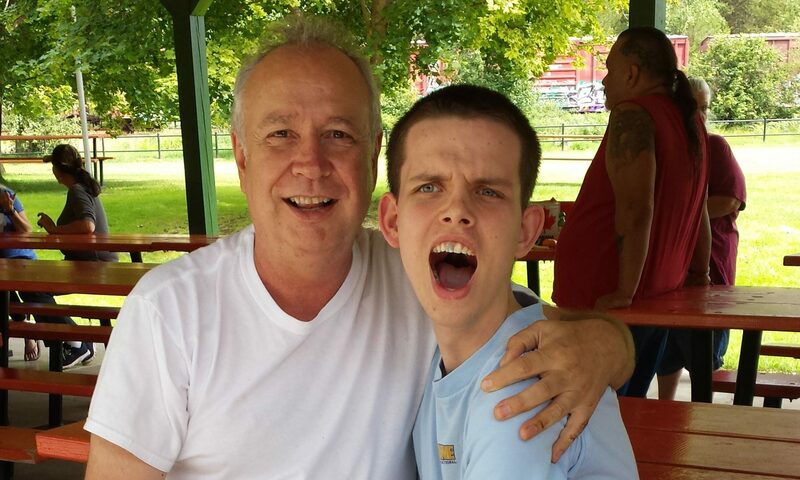 Joel has had a lifetime of experience supporting his brother, who lives with Autism; this informed Joel’s choice to pursue a career in the field of community support. Having lived with someone with Autism his whole life, and being committed to a philosophy of lifelong learning, Joel went on to obtain his Autism Spectrum Certificate and Behaviour Intervention Certificate. Joel brings with him over a decade of experience in a variety of roles in community living, including coordinating residential supports, providing and coordinating support across multidisciplinary teams, and developing teams to deliver services to both youth and adults who have diverse needs. Joel is passionate about helping people build better lives for themselves, is excited about bringing his enthusiasm to the team at Community Connections, and looks forward to having a positive impact on his community. Emily has been with Community Connections since 2012. She brings with her a background in Neuroscience from the University of Alberta. Emily remains committed to providing excellent front line support to those she serves and also has a strong interest in Health and Safety issues. She has been a Health and Safety Officer and is now the agency’s Health and Safety Coordinator. She is keen to uphold the standards set out by CARF and WorkSafe BC and is focused on providing the skills and knowledge necessary to maintain a safe workplace for employees and persons served.